My Dream Canvas: The Dream Canvas" Dream House "
The Dream Canvas" Dream House "
Hey, I love my current house, don't get me wrong! My little casa has everything I need and more. Especially the people who live in it :) However, every now and then, you stumble upon a place that makes you sigh and daydream. 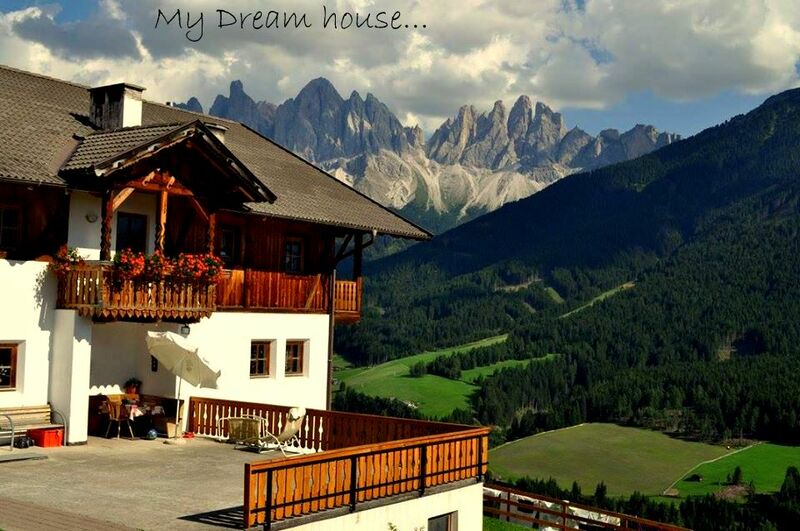 Well, I spotted one such home, high up in a valley in the Dolomite's region of Italy! Can you blame me??? I wonder where do the people who live here go on vacation....perhaps to the beach!! The breathtaking views of the limestone Alps, the alpine valley below....dotted with wildflowers and little cottages, the sound of cowbells, and the simple beauty of living with nature had me completely swept away!